Considering the many directions children are pushed towards and pulled from, it’s important to remember what a bad day feels like to a child. Cassandra’s Angel, written by Gina Otto, serves as a reminder to adults of the stresses during a child’s day. Even more importantly, this book emphasizes self-reliance and confidence for children themselves. Written in stanzas with rhyming couplets that don’t feel too sing-songy, this story is about Cassandra, a child who sings and imagines and plays and paints with enthusiasm and joy. And yet, those who surround her seem to find fault with everything she creates and even with her physical appearance. Cassandra’s mother, other children, her teacher, and the mayor of her town all hurriedly tell her she must change or do things differently. “But she did not like that story. NO, SHE DID NOT,” the narrator tells us. 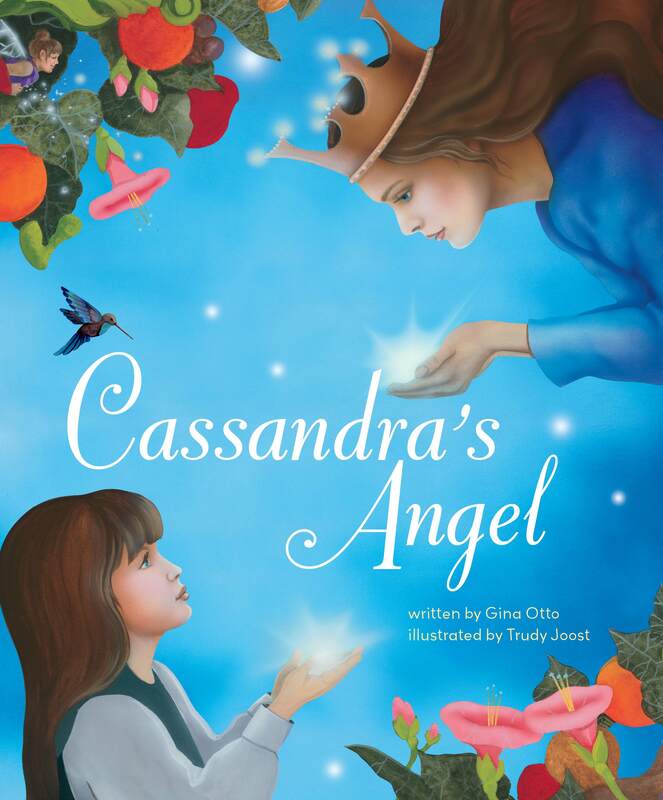 My children enjoyed reading along to this book, and they were rooting for Cassandra all along. What also excited them were the beautiful pictures to accompany the story. Illustrated by Trudy Joost, the images are both realistic and fanciful. The portrayals of Cassandra’s moods are especially impressive and touching. While there are scenes in which Cassandra is treated harshly, there is no cruel physical treatment or violence. This is a book that will remind us all to be self-assured and to take time to listen to our children and look at the world through their eyes. This book is so wonderful! I got it for my daughter because she was having self-esteem issues, it really hit home. did you see the new Huffington Post article on it? My kiddo received this as a gift and absolutely adores it.